What is a Marble Tile Wholesaler? A marble tile wholesaler is a business that sells their product in high volumes. This means that the least amount of tile that you can buy from some wholesalers is by the crate that can range anywhere from 50-100 pieces of tile. Purchasing by the bulk can be costly, but the overall expense will save you money over a period of time. Wholesale distributors typically award their customers by reducing the unit amount based on how much is bought. By this logic, the more marble tile you buy, the cheaper it will be. Even though you are spending a considerable amount of money up front, what you would’ve spent on an as-needed basis would far exceed that reduced wholesale cost. Who Can Benefit from a Marble Wholesaler? Buying marble tile in bulk can benefit anyone who is in the building and design business. Having a diverse supply of marble tile in stock allows contractors to quickly execute a building project, thus being able to provide a product that pleases the customer which will in turn, render repeat services and referrals which inevitably results in more money! Developers – Developers usually scope out the perfect site area where a building project will be built. In other words, they buy raw land and get the necessary building permits. They put in water and electric lines and even put in sewers. Developers aren’t always involved with the interior beautification of a project, but it’s necessary for them to know what it’s going to cost in order to set a budget. Developers usually employ a team of architects, contractors and interior designers to help them renovate or build projects. At any rate, they have the wherewithal to orchestrate a building process from beginning to end. Architects – Architects concern themselves with the structure of a project. They are highly skilled in mathematics being able to design building plans that complement the landscape while also serving the overall purpose of the structure if it applies. Even though architects focus more on structure, they also concern themselves with what kind of building materials will be used in certain areas. Because marble is such a strong building material, it is often incorporated in such designs, especially in high-end projects. Builders and Contractors – These professions are interchangeable given that they can work independently or for developers. The ones who work independently have more control over the building project as a whole, much like developers. The only difference here is that builders and contractors will buy “finished lots” that sometimes already have a structure on the land. In this case, they’re renovating. As a result, they must concern themselves with the design aspects like whether or not to install marble tile or some type of cheap fiberglass fitter into the bathtub. These type of things will determine the grade of quality that they are delivering. Interior Designers – Those who make their living solely on designing the interior of a structure can also benefit from a marble wholesaler. Interior Designers specialize in creating new looks for a space. Having an abundant supply of different kinds of marble tile also gives them the advantage of delivering a service and product to a customer in hopes of receiving rave referrals and repeated work. Retail Owners – Retail owners might be one of the top professions that can benefit from a marble tile wholesaler. The world of retail is all about getting their inventory at reduced priced so that the mark-up ticket can render a generous amount of profit for the business. For businesses that specialize in building materials, they already understand the advantages of buying wholesale prices. The only challenge they may find, along with every other professional interested in this field of work, is finding the best unit price in the market. Market prices for marble tile vary depending on the demand. There are many variations of marble tile. Some are more popular than others, which means that they will be more expensive to buy. This also means that the wholesale price will be a little higher. As aforementioned, this unit price can be reduced based on the amount of marble tile bought. Adailia Cappuccino – A polished, straight-edged marble in brown, beige and cream tones. Bianco Dolomiti – A polished, straight-edged white tile that’s perfect for a clean and modern look. Crema Bella – A beautiful cream and beige colored polished tile that creates a grayish tone that fits well with a classic or modern design. Crema River – Very similar to the Adailia Cappuccino except this tile has red veining throughout the stone giving it a darker and warmer tone. 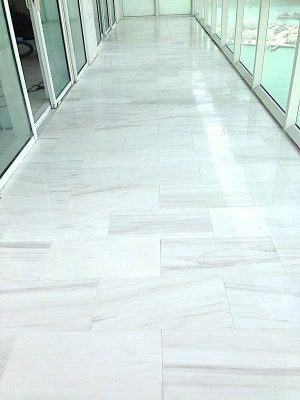 Crema Marfil Marble – This stone is almost in contrast to Crema River. It too has a red veining. However, the veining here can consist of a yellowish, gold and minor red tone. The overall color is lighter though. Rojo Alicante – One of the boldest marble tiles in demand. This type of marble tile is a polished straight-edged stone with red, maroon and rose tones that is most popular as an accent piece or a striking focal point. Vanilla Oro – For those who want the modern look of Bianco Dolomiti, but want to tone it down a shade, Vanilla Oro’s beige, cream and white tones will deliver just that! How Does One Buy From a Wholesaler? Most marble wholesalers will only sell to professionals listed above. Since they are selling in bulk, professionals like retail owners, interior designers, builders, contractors, architects and developers have the resources to make these types of purchases. Furthermore, they usually have the space to store such a high amount of stock. Nalboor Tiles, offers a quality catalog of the most in demand marble tile selections. This ensures that what you purchase will continue to be the most sought after tile in the industry. There is no need to worry about buying too much of a product that won’t sell. Visit our online catalog here. In addition to selling marble tile, we offer travertine, limestone, and mosaic tiles. If you have any questions regarding any other type of natural stone tile, or obtaining free samples, call us today at 1-305-501-4548. Our offices are open Monday – Friday from 9am – 5pm EST. You can also visit our website here.